Homeowners in Minneapolis, St. Paul and the surrounding communities seeking to protect and preserve the investment they have made in their homes are consistently turning to Krech Exteriors. Our full scope of home improvement services provides a single source of responsibility that our customers can trust to take a “whole home” view when it comes to repairs, maintenance and renovation. One look at the range of services we offer and you’ll understand why your neighbors trust Krech Exteriors with the care of their homes. Roofing – The most important structural component when it comes to protecting your home and family against the elements is your roofing system. That’s why Krech Exteriors has gone through the process of becoming certified by the country’s leading roofing manufacturers, including GAF Corporation and CertainTeed. Our certification means that we can offer you the most complete and reliable roofing systems on the market – fully integrated, multi-component systems that work together to create an effective and reliable barrier against rain, snow, ice and sun. All backed by the most thorough warranties in the industry. 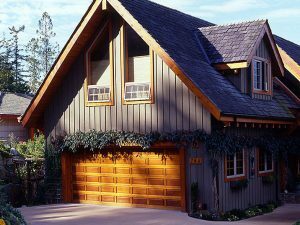 Siding – While many people view new siding an aesthetic improvement, by choosing the right siding material you can also improve the overall performance of your home. We install rugged, durable fiber cement siding from James Hardie®, engineered siding from LP Products®, vinyl siding from the country’s top siding maker, Alside®, and natural cedar siding. No other home improvement company in the Twin Cities offers you such a wide choice of siding options. Replacement Windows – One of the best ways to make your home more energy efficient and reduce heating and cooling costs is window replacement. Twin Cities homeowners who swap out their drafty old windows with high-performance Andersen® and Marvin® replacement windows can experience energy savings of up to 30%. Plus you can enjoy the beauty and convenience of windows that are custom-sized and made exclusively to fit your home. Just as important is our commitment to using only quality, brand name products and materials to ensure the highest level of performance and consistency. Add to this the skills and experience of our talented installation teams (not to mention the pride they take in their work!) and you have a home improvement project that delivers lasting value. At all times we view your home’s exterior as an integrated system, coordinating all components – replacement windows, siding and roofing – into an overall protective envelope. From weather-tight roofing, to low-maintenance siding, to energy-saving replacement windows, we’ve been the Twin Cities’ most trusted contractors since 1988. Call us today at 651-688-6368 or simply fill out our convenient online “Request a Quote” form to schedule a free in-home consultation and estimate.